“The Feeling” is now available for Pre-Order on Beatport at https://www.beatport.com/release/the-feeling/2109504 and will be an Exclusive Release on Beatport on September 30, 2017 with worldwide release on October 14, 2017 in all digital stores. For Licensing information contact MJS Records at http://mjsrecords.net/CONTACT. GM Music is a new and exciting dance artist and songwriter straight out of Wales in UK. 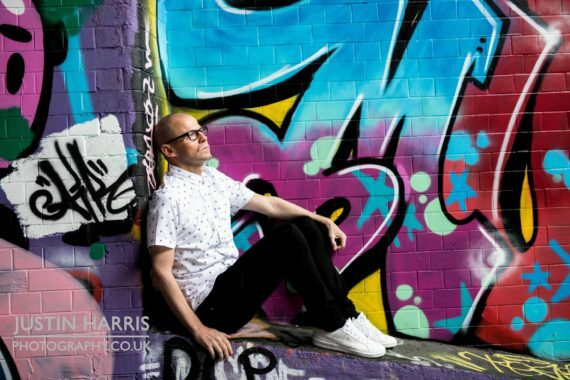 After performing at several prestigious venues while studying pop and classical music, GM spent much of his 20’s immersed in the Dance and EDM clubs of the UK and Ibiza; two scenes which have fuelled the pulsating grooves of his music. GM is driven and passionate about bringing something fresh and different to the industry, while his influences range from Daft Punk and Massive Attack to Katy B, Gorgon City and MNEK. Calte Jones is a born n’ bred Londoner and a creative gal who sings, writes, and expresses herself in the arts. After graduating The BRIT’s, she attended Academy of Contemporary Music (ACM) in Guildford. After some time out to figure her next moves, she went on to study Film at university. She is always writing, whether that’s song lyrics, poems, and/or screenplays. From her early twenties, she’d say her creations are a ‘work in progress‘ where she is continuously experimenting with sounds and writing. Originally inspired by Pop and Commercial music, she later moved into Alt-R&B. Although, from mid-2017, her sound is again adapting/changing as she grows and changes herself. She can be found providing vocals for sessions with up-coming producers and/or writing to (mostly) EDM tracks. “I studied Film at uni believing I would move onto a different path, but there’s always this draw to music. Studying Film kept me inspired and challenged. It has assisted me creatively in every-way possible, from the aesthetics and history of cinema to the development of a story and how best to communicate it”. Connect with Denizen on Soundcloud at https://soundcloud.com/denizenmakesmusic. MJS Records is a San Diego, California based Record Label founded by DJ/Producer/Remixer Golden Boy Mike. MJS Records releases both vinyl and digital music focusing on trance music, but releases other genres as well. MJS Records is the record label for the MJS Productions Artist Management artists, as well as others from across the globe. The MJS Records logo is inspired by the design of influential record labels in founder Golden Boy Mike’s past, such as the first house music label in Chicago, DJ International, and the label that first featured the turntable on it’s jackets, Def Jam. The logo is hand-drawn, not a picture, which makes it even more remarkable. The lightning bolts are from Golden Boy Mike’s first hand-drawn logo in the mid 1980’s when he was aspiring to be a DJ. Now almost 30 years later it has come full circle with the launch of MJS Records. Check out all the MJS Records Releases at www.MJSRecords.net.